Athletics competitions can be broadly divided into three types: international championships, national championships, and annual meetings and races. Athletics at international championships, or Games, represent the pinnacle of competition within the sport, and they are contested between athletes representing their country or region. The organisation of these competitions is usually overseen by either a world, continental, or regional athletics governing body. 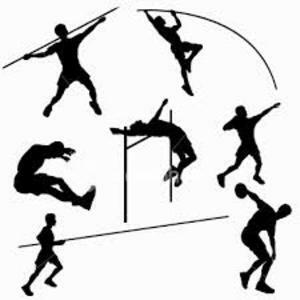 Athletes gain entry into these competitions by earning selection from their national athletics governing body, which is generally done by assessing athletes via their past achievements or performances at a national selection event. Conducting International Championships & Meets: The AFI organises various international events in India, including the IAAF Permit Meets, World Half-Marathon Championships, Asian Championships, Asian Junior Championships, Asian Grand Prix, Asian All-Star competitions, South Asian Championships besides being involved in conducting multi-sport events like Asian Games, Commonwealth Games, South Asian Games, etc. National Championships & Grand Prix Series: In a huge country like India, providing adequate opportunities to aspiring and budding athletes at the national and regional level is crucial. Apart from the National Championships for seniors and juniors, the AFI arguably conducts the maximum number of meets in Indian sports, keeping in mind the diverse disciplines, from track to field and road races to walking. NID-JAM: The National Inter-District Juniors Athletics Meet is an annual championship. An unique sports programme which identifies and selects champions from more than 260 districts in India till last count, and provides them a National platform to perform, nurture and get selected for the Indian National camp and further selection for international championship. Around 3,500 budding athletes are nurtured under the NID Championship. A total of 13 athletes and one coach and manager represent each district after a qualification tournament is held in their respective districts. So far 12 editions of the NID-JAM have been conducted with a maximum participation of 3,500 athletes from 260 districts. IAAF-AFI Kids Athletics: Launched in 2013, this is a grass root programme to encourage as many schools and their students to take up physical activity and athletics. An initiative of the IAAF, the AFI launched the programme in India in 2013 and till now 19 states in the country have adopted the Kids Athletics programme.